While providing "URL for issue manager" make sure you enter https://api.github.com instead of https://github.com followed by username (or email) and password and fields (if required to be provided global values). You also have an option of allowing the reported issue to be resolved automatically when the related test case passes by checking "Resolve reported issues when a failed test case is marked as passed". When you check this you will be prompted to provide the status code that Github uses for resolved issues, you need to enter the same for "Status code for resolved". 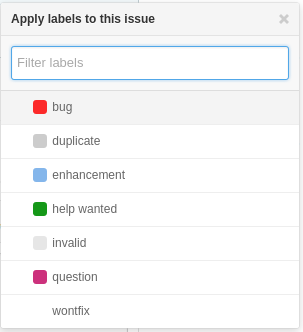 A completed project specific issue manager setting form for GitHub would look like this. Once the values for all fields have been provided you can save and test the settings by creating a sample issue in GitHub.